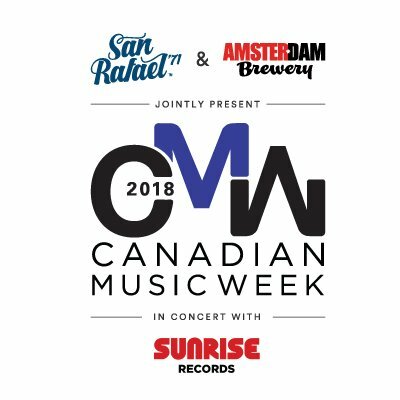 Canadian Music Week's 4-day Music Summit, presented by San Rafael '71 and Amsterdam Brewing, will close with the Music Cities Summit’s “The Mastering Of A Music City” conference on Saturday, May 12, 2018 at the Sheraton Centre. “The Mastering Of A Music City” – a joint event by Music Canada, Music Policy Forum, and Canadian Music Week – will explore the relationship between creative city planning and the role of music in an urban setting. Co-curated by Music Canada’s Amy Terrill and the Music Policy Forum’s Michael Bracy, the conference highlights an international mix of speakers from municipal governments, music industry innovators and non-profit leaders who will explore local successes and challenges while placing these issues in a global context. Featured speakers include: Lawrence “Boo” Mitchell, Owner of Memphis’ Willie Mitchell’s Royal Studios; Josh Colle, Toronto City Councillor; Chief Howard Miller, President New Orleans Mardi Gras Indian Council; and Kate Becker, Director of the Office of Film and Music, City of Seattle. Hands-on workshops focusing on sound management and the new artist economy will provide specific tools and strategies, while provocative sessions including New Orleans: A Case Study; Emerging Music Cities; and Music Officers Meet Their Match will inform, inspire and challenge. Canadian Music Week’s 4-day Music Summit will include celebrity interviews, panels and workshops May 9 -12, 2018. Music Summit highlights include: renowned lawyer Lorraine D'Alessio speaking about how to use a digital platform to launch a music career in the United States; a keynote by Laura Pearce, Head of Consumer Marketing at Twitter Canada; and an international spotlight on Mexico and the United States. Canadian Music Week is Canada’s leading annual entertainment event dedicated to the expression and growth of the country’s music, media and entertainment industries. Combining multifaceted information-intensive conferences; a trade exposition; a film festival; a comedy festival; awards shows and the nation’s largest new music festival, CMW spans a seven-day period from May 7 - 13, 2018 at the Sheraton Centre Hotel, and in more than 50 downtown Toronto venues, attracting participants from across the globe. Music Policy Forum is a new network for those individuals who work at the intersection of music, policy, innovation and research.